Old map by BRITISH ADMIRALTY CHART. - Africa east coast Mozambique Harbour to Ras Pekawi surveys by Captain WFW Owen HMS Leven and Barracouta 1824… Magnetic variation in 1900, decreasing about 2' annually. . . Title: Africa east coast Mozambique Harbour to Ras Pekawi surveys by Captain WFW Owen HMS Leven and Barracouta 1824… Magnetic variation in 1900, decreasing about 2' annually. . . Size: 38.6 x 25.2 inches. A fine Hydrographic Office chart no.1809 with six insets : 1. 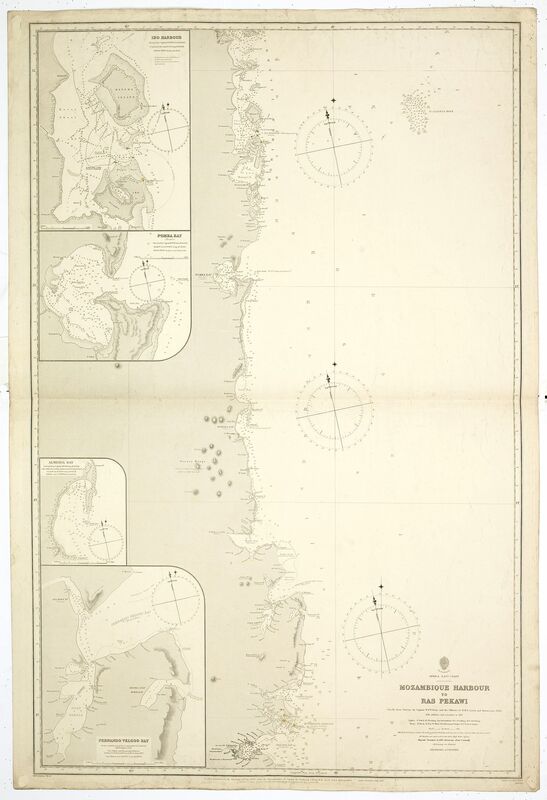 Ibo Harbour surveyed by Captain W.F.W. Owen RN 1824 circa 1:20,000. 5. Fernando Veloso Bay Belmore Harbour [Nihegehe] sketch survey by Comr G.L. Sulivan RN HMS Daphne 1868 circa 1:100,000, 6. Fernando Veloso Bay Port Nakala from a Portuguese Government Plan 1904 circa 1:42,580. Showing the coast from Mozambique Harbour to Ras Pekawi. Engraved by Edw.d Weller. London : Published at the Admiralty 25th. Apr. 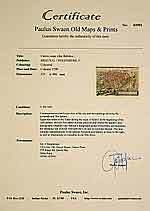 1884 under the Superintendence of Captn. Sir Frederick J. Evans. R.N. Hydrographer : Sold by J.D. Potter agent for the Admiralty charts, 31 Poultry & 11 King Street, Tower Hill".